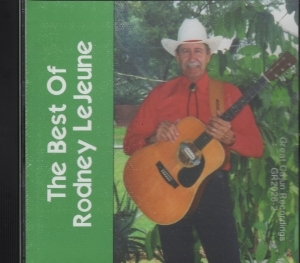 Rodney LeJeune is well known in Southeast Texas and Soutwest Louisiana as one of the finest Cajun Singers of his time. Beginning in the 1950's, until his retirement in 1998, Rodney performed for many Cajun Festivals, Benefits and Clubs. His fans have been clamoring for a CD of his recordings so this album was compiled from studio recordings made in the 1980's. Cajun music lovers will want to add this CD to their collection. New Listeners will get an authentic taste of this unique sound that is 'Cajun'. Listen to the music samples then order your personal copy.